Upon reading the title of this article, what automatically came to your mind? A 5-6 business? For those who don’t know it yet, 5-6 refers to the art and science of lending money to someone for 30 days — plus or minus 5 days — at 20% interest. If you do the Math, that means in a span of 5 months you double your money. Wanna try? Oh, no… not so fast. Perhaps I should warn you first that it is a very risky proposition that you better leave it up to your friendly neighborhood Bombays, who are the true masters at that business. And oh, by the way, contrary to popular belief, 5-6 won’t get you cancer. But not getting your money back, probably would. Hmm… Don’t tell me I didn’t warn you. How about Lotto? We’ve already shown you that it is one of the ways you can get rich here in this country. On top of that, through the PCSO, you are also helping your fellow countrymen who are in dire need of money. Time deposit, perhaps? It offers a lousy return, but at least your money is a little safer at the bank. If you are thinking along those lines, I guess you already know that money can be used to make money. The Pawnshop Business is as old as mankind itself. And in the Philippines they are all over the place – from the remote parts of the provinces to the most crowded corners in the cities. For many Filipinos, a pawnshop is one place they can rely on as a source of quick money normally used for emergencies or immediate needs. That is, given the right collateral (something of value) the pawnbroker (the company or the individual running the pawnshop business) lends them money for a set period of time and for a given interest. The beauty of this process is that it is very fast, with no complicated document requirements like you would encounter when applying for a loan from a bank. From the sale of unredeemed items that served as collateral for the loaned money. In the Global Money Transfer scene, the Philippines is the third largest country that sends money back home from abroad. The first two spots are taken by India and Mexico. Data from the Bangko Sentral Ng Pilipinas (BSP) shows that the average amount sent by an overseas Filipino to his family in the Philippines is 300 USD per month. Last year alone, the total money sent to the Philippines from abroad reached 20 Billion USD. That’s a lot of money. And some say, they help keep the Philippine economy afloat and made the Peso Currency strong against the US Dollar. No wonder, the Overseas Filipino Workers are considered as heroes of the nation. The Money Remittance Market in the Philippines used to be dominated by commercial banks. But thanks to the improving telecommunications technology, smaller players are now competing with the banks offering lower service charges and reaching wider areas of coverage. You are required to register with the Bangko Sentral Ng Pilipinas (BSP), for local money transfers. If you have an operation in another country, requirements differ from one country to another. Usually you will be required to place a cash bond and present your operating manual. It is important that you are aware of our local Anti-Money Laundering Law or similar laws if you have branches abroad. Equipping your premises with security systems, CCTV and alarms would be of help. Important to setup a continuity plan in case the computerized system goes offline. Service charge when someone sends money. Foreign exchange when a foreign currency is converted to the local currency when money is claimed. The concept of microfinance is nothing new. But it became really popular with the success of Grameen Bank in Bangladesh. For an overview of Microfinance, take a look at this inspiring short video presenting Dr Muhammad Yunus, known as the banker to the poor. You may also want to buy Dr Yunus’ book, “Banker To The Poor: Micro-Lending and the Battle Against World Poverty”, from Amazon by clicking on the image below. Microfinance is the provision of a broad range of financial services such as deposits, loans, payment services, money transfers and insurance products to the poor and low-income households and their microenterprises. By definition, it is important to note that Microfinance is NOT subsidized credit, NOT a dole-out, NOT salary or consumption loans, and a cure-all for poverty. We all know them. They are the hardworking mom-and-pop (and perhaps kids, too) vendors in the local market. They are the sari-sari store owners serving the community in your subdivision. They are the small-time farmers raising poultry and other animals in their backyard in some remote countryside. Their original sin: They are deemed too risky by the banks to able to deserve a business loan. Well, I hope you already get the picture of who I am referring to. Quite ironically, microfinance services are already available in some rural and thrift banks. These are smaller banks usually serving the countryside. Savings and Credit Cooperatives are also among the most active providers micro-financial services. So, if you are planning to setup this kind of venture, you can either form a bank or a cooperative. Getting publicity is one of the most effective marketing tools you can take advantage to get the word out about your business. However, not all entrepreneurs have the talent or the knowledge of how to use it properly. Think of this article as PR 101 for Small Businesses. Here are some practical ideas you can use right away — even cheaply – and make the most out of publicity stints. 1. Sweet Talk Your Way To Your Costumers. Media tools are often read or heard of and they are effective that way. Words and “sweet talk” can still set you apart from your competitors. Keep everything light and polite while not sacrificing quality of content. Hire a good creative writer or team for this. 2. Develop A Positive Press Network. For a small business entrepreneur, the idea that “bad publicity is still publicity” does not apply. It instead causes the consumers to get away from the business as far as possible. One way to gain good publicity instead of bad ones is to have positive relations with the press people. They have gained the trust of the customers and are often asked for advices on what products to choose. Better get on their side to earn a few recommendations here and there. With the rise of social media and social media influencers, you’re lucky this part doesn’t need to be very costly; more on that later. 3. Your Own Press Release. Get someone who can write and distribute this efficiently. This step makes a great way for any small business to get noticed immediately. A virtual assistant who can write the press release articles and at the same time handle the distribution is very helpful with this PR task. Hire one that knows where it is best to submit your press releases and observe how it can help in gaining more clients and better sales. 4. Social Media Is In. It’s not just a fad, it’s here to stay and you can learn it in no time. Learn the ins and outs of online social media marketing. Nowadays, more people hang out on social networking sites rather than get together for real. This makes it easier to focus on creating catchy adverts intended to be posted on those sites for the people to get noticed. Know what’s trending and focus on the interest of the people to keep their eyes glued to your posts. 5. Interact with customers often. Nothing makes a customer want to come back for more than having a unique personal experience during the business transaction. Making customers feel that they are special — not just another number — will have them looking only for you whenever they need your services. This PR 101 for Small Business guide intends to help any small- scale entrepreneur gain a share of the limelight. It does not matter how small a business is, as long as it is well advertised and get positive feedback from the media and the consumers, it will have a good chance of succeeding. In the previous article on this series, I mentioned about some of the benefits your business can derive by having a website. You can reap those benefits if you know how to do it right. However, not all entrepreneurs are technology savvy. Some of them have only a basic understanding of the Internet technology and how to take advantage of this. If you belong to this group, you need not worry. This website is created for business owners just like you who want to learn how to utilize the Internet and related technologies and who don’t want to be bothered by the lesser important details. It’s true that technology is getting more and more complicated as it advances forward. On the other hand, companies that offer high-tech products and services to their clients are also striving to make it as simple to use and possible for users to be able to adopt and take full advantage of the features and benefits. I’m not sure if you have observed it, but most tech products that thrive in the marketplace are those that are also the most user-friendly even your non-techie grandma can use. Building a basic website is about the same: it’s becoming simpler than ever. Given the right tools and with proper guidance, you can be up to speed in no time. That’s it. Once you have developed those skills, you are in a position to follow what we are about to show you here. That is, how to develop your business website and how to do it right. Note: You don’t have to do the actual website building yourself. You can hire other professionals to do it for you or you can buy those off-the-shelf packages. I believe that as a business owner, you should only focus on the core competencies of your business, and leave the nitty-gritty stuff to other people. So ready? Read the rest of the topic. The first two items are a little bit technical, but they are easy to understand. It’s important to remember that you should be the one to buy, control and manage these two important resources. We’ll have more of that in other articles, but right now you all you need is a short introduction to know what they are. The third item is the simplest and easiest to understand. 1. A domain name. It’s the one that appears on the Browser’s Address box as http://www.yourdomain.com. This is your online identity, your address in cyberspace, your single most important online resource. It’s your name. How good does it sound? Like your business name, your domain name should also be sticky: Easy to remember and hard to forget. 2. A Web Hosting Account. Remember disk drives, USD flash drive and DVDs? They are digital devices that you primarily use to store files. A web hosting account is a lot like those file storage devices, but it’s actually a whole lot of package which includes, a database server, web server, lot of software, and more. You access it over the Internet and located in a place called the data center, which your web host provider maintains. When it comes to web hosting, you need to get it from a reliable company. You can’t afford a down time. 3. Text, Graphics, Audios and Videos. From your visitors’ point of view, these are the stuff that they see, read or hear. 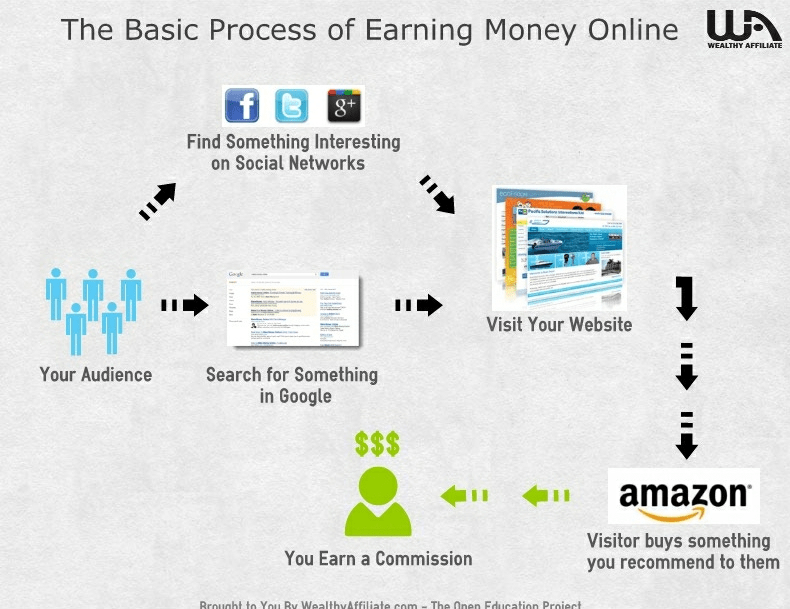 Once assembled together, it’s the doorway to your online business. It’s your chance to make an impression. Make every page count. Home Page – When people visit you from your URL, say www.yourbusiness.com, the home page is very page that they see. Otherwise called as the main page, it should provide links to the most important pages on the website. About – This section should have the essential info about your business or your organization. Highlight the following: Company Background and History, Management Team, Vision and Mission Statement, etc. Products And Services – What do you have to offer? Put them here and make this module very accessible from the main navigation. Contact – Put your contact information here. Email Address or Contact Form, Physical Office Address with Map, Phone and Fax numbers are among the most important information visitors will be looking for. Blog – Blogging is not just for kids who are ranting about everything there is to rant. It’s an effective way of giving your faceless company some form of personality. Here’s a two-way communication medium between you and the customer. In closing, I’d like to share two timeless web design tips that you can implement anytime. First, keep it simple. Make it easy for your visitors to navigate your contents. The website is not a showcase of the graphical abilities of the designer. It is a means of delivering your message across. Your important pages should be accessible from any page of your website. Remember to put your audience first. Give them what they are looking. Your website is not for you to visit every day. It’s for your visitors so they can do business with you. Observe that the most popular websites also have the simplest designs. Finally, make it fast. Avoid fancy graphics and flash animations like you would a contagious disease. I know and I regret it that most website owners love to have kinds of flashy stuff. Do you really think your visitors are there on your website so they can be entertained by your flash animations and to watch your photos? Think about it. Building a website can be fun. If it can’t bring in the money to your business. If you can’t do it right. I can’t help you with the first item. You have to figure it out for yourself. NegosyoBuilder.com is here to help you with the second item. So I’d like to invite you to subscribe to our email list (thanks to Google Feedburner) or like us on Facebook or connect with us on Google+. Read the rest of the material if you want to have a business website and do it right. First, let’s put things in proper order. It’s always good to have an attitude that goes like this: “A website? What’s in it for my business? It’s good that you ask. But, you should also ask why you are in business in the first place. 1. It’s good for your image. Your website serves as an electronic equivalent of your printed brochures and people can view them anytime, anywhere. It means you are keeping up with times and you are at pace with technology. It reinforces your reputation and enhances your credibility. 2. It makes you visible. A business is no good if your customers and clients can’t find you. Having a website is like passing out your business card to several people. And since most website visitors come to a website through search engines, it would be good if you rank high in Web search results. 3. It communicates your message. A website can be a powerful and cost-effective communication tool. You can send out updates, good news, special promotions, product introductions, and similar information to your target audience. 4. It’s a feedback tool. You can hear from your customers and how they feel about your business. 5. It makes you money. Depending on how good you are at turning site visitors into paying customers, your website indeed can positively affect your bottom-line. If you believe that your business can make you rich, your website only makes it a little bit easier. We’re only talking about a simple website here. Bear in mind that not all websites are created equal. Some have a lot of advanced features like those e-commerce websites that accept online payments, or those from the banks that allow you to perform Internet Banking 24/7. Stay tuned for part 2 where we discuss main ingredients you need to prepare so you can have a killer website. Update: Part 2 of this series of articles is now ready. Click here to read it.